See more of France with a day-trip from Toulouse to Albi and Cordes sur Ceil with a guide. Don’t worry about the hassles of driving, navigating, or translating, as you enjoy the itinerary prepared by your guide. 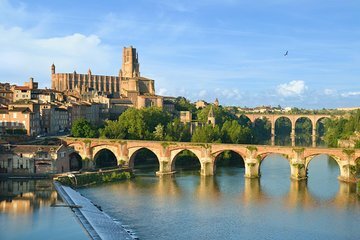 Explore medieval villages, spend some time in the Toulouse Lautrec museum and visit the Sainte Cécile cathedral, a UNESCO World Heritage listed sight.